If you are interested in Affiliate marketing let me share my story with you! I first started trying to make money online, It went at it all wrong because I had no idea what the best way to make money online was ! I fell for several scams and did enough surveys to last me a lifetime ! In fact, I have people ask me about surveys from time to time, and I usually tell them that it’s the easiest 80 cents an hour they will ever make ! I won’t say “I’ve done it all, but I have done a lot of it, for sure! And when I quite honestly stumbled onto the best way to make money online I was floored! I won’t forget the day I really stopped and explored affiliate marketing! I had tried several times to put together a plan of attack for making money online and every time I got started I was met with one of two different realities ! Either I had no clue what I was doing, or what I was doing was a scam and wouldn’t work anyway! After quite some time of starting and stopping and getting frustrated I gave up all together! I suppose that this whole “make money online” deal is a fantasy world reserved for the super smart or the super rich ! And I was neither ! After all I’ve always heard that it takes money to make money, so I used that as my excuse to drop the latest, and greatest failure and fold my tent! It’s not possible I yelled to my wife as I walked out the door to mow the lawn ! Great timing for a visit ! My buddy Bob came up to visit from the coast and we had a lot of fun! Bob was a really smart guy who wrote software for the military and was a day trader. I only met him because he was dating one of my wife’s friends. There was no way I hung out with people with this kind of smarts ! Bob was about 10 years older than we were and really laid back! He was easy to get along with and grew to be a great friend! And one day my association with my buddy Bob changed it all for me ! We were sitting on his deck waiting for the girls to get dinner ready to put on the grill, when the subject of what he does for a living came up. I always enjoyed hearing about his world of laptops, and flip-flops ! The guy had figured it out! Bob was actually a pretty wealthy fellow although you would never know it! The guy was as nice to the young boy that cut his grass as he was to anyone else. But Bob had some secrets, and they were secrets I was eager to learn, but never felt comfortable asking him about work. Then like the man upstairs was granting my wish it came right into conversation so I didn’t have to ask! The girls brought the food out and Bob sprang to his feet like it was Christmas morning and his mom woke him up! Bob loved to cook, especially outdoors. He had some crazy recipes for every kind of rub and grilling sauce you could imagine! When he got to the grill and took the food, he said “This will be my retirement plan”! I thought to myself,surely it’s not going to take him that long to cook, I’m starving! So I made a joke about it, and he replied,” When I get my outdoor cooking blog up and rolling you won’t be laughing! My first exposure to affiliate marketing was the moment I had been waiting for! I asked Bob what he was talking about, and he replied that he was working on his third blog about outdoor cooking. I looked at my wife puzzled and she asked’ what are the other blogs about Bob?” His reply stunned me ! Al thios time I thought he was making this money writing software and day trading! “I have a blog based on writing certain types of software from back when I worked with the military, and I have a blog on day trading. WHAT I thought ! I thought that you were still doing software for the military I said. He replied heck no! “Haven’t done that for quite a while”. Then I started asking him a question for every question he answered, like a puppy after a steak ! Not really knowing what I was asking or why. All I knew is the fact, I was learning something that was very interesting! After dinner Bob told me to “come check it out” so I followed him to his upstairs office where he had 2 Apple IMacs set up on a large desk with nothing else in the room. “Kind of empty for an office isn’t it”, I said. He simply smiled and started up one of his computers where he showed me what he was doing. Both of his first two blogs looked awesome and were chock full of articles on how to subjects and reviews on various products and services. Although I was excited and impressed, I never once thought that something like this was anywhere in the realm of my intelligence level! I mean doing all that crazy code stuff and all ! I have no clue ! I mentioned to Bob that he must enjoy what he is doing and he brightened up! Then he said the magic words! ‘It’s the most fun you can have in 8 hours per week and earn $800,000 per year”. I must have looked like Ebeneazer Scrooge when he saw the first Ghost that Christmas eve ! I know my chin had to be resting firmly on the floor, because there was no way my mouth couldn’t open further! Am I smart enough to do this affiliate marketing thing? We stood and talked in his office for several more minutes and I couldn’t resist any longer! “Is writing that code difficult to learn, I asked Bob.” He replied, “what do you mean”? I then started telling him that the affiliate marketing deal looked like a lot of fun, and that I had tried several times to make money online but failed. But when I told him I would love to do something like that but would have to learn how to write code, he told me that writing code is not needed and becoming a way of the past for bloggers. Music to my ears! As the evening rolled on we talked about blogging and affiliate marketing for several hours. What seemed like a few minutes to me went by in a flash and our evening visit ended at 2:00am ! As we were leaving Bob scribbled a website on a piece of paper and handed it to me. He told me to sign up for an account at Wealthy Affiliate and start with the lessons in the training course and to get started on building a niche website. When we arrived home I did just that ! I signed up for a free membership at Wealthy Affiliate and by the time the sun came up the next morning I had upgraded to the premium account at Wealthy Affiliate for $49 per month! Its chump change for what you get from the training website builder, hosting, community, and support! Finally, I was on my way ! I love the outdoors ! I grew up hunting, fishing and camping so it only made sense to me to build my website on one of these topics. But which one ? I spent the better part of the next day thinking and considering all the different aspects of what niche I would choose.The guidance and training helped a lot! And by that evening I had settled on hunting as my niche. After all I had experience and passion for hunting so that was my fit! In started my first website that day! Wildwerx.com was live! I couldn’t wait to call Bob and tell him that I was on my way! He seemed almost as excited as I was and offered all the encouragement I could have ever asked for ! Since that day he has been nothing but supportive and I really appreciate that! But before I got off the phone he told me to be patient and be in it for the long haul because building a niche website for affiliate marketing is a marathon not a sprint. I didn’t quite understand what he meant, but I agreed that I was in it for the long haul! All I knew is that I now have a proven method to make money online and I was going to run with it !. Building an online business is simple but not easy! Let me explain. Those first few weeks working on my newfound direction was a bit challenging to say the least! It wasn’t so much the complexity of the training or understanding, it was actually work. Now don’t get me wrong here! It’s not like slaving away in the salt mines kind of work by any means! Its a labor of love so to speak when you are writing content for blog posts about something you are passionate about! Its like what Marc Anthony once said ” If You do what you love, you will never work a day in your life “. The challenges I faced were things like how to write content and website design type things! I went off with google and YouTube and worked on these things to get better! But I actually made a huge mess I had to fix ! You see all the stuff I was finding challenging was actually laid out in the training in the order I needed it, but I was impatient and made it tougher on myself ! But that was one lesson I wouldn’t have to learn twice ! I started to follow the training step by step and it became amazingly smooth! The instructors at Wealthy Affiliate even helped me to straighten out what I had messed up! As I continued along I started to understand something my buddy Bob had told me. He said that Affiliate marketing was the best way for the average person to make money and generate wealth with passive income online, but it’s not for everyone ! I didn’t understand what he meant until I got to the stage where I saw what he meant! Writing content in a blog is tough when there is no one reading it! I had sparse traffic on my website those first few months and most of that came from sharing my posts on social media. When you are creating content to help answer people’s questions and help them with problems it’s a great feeling. But the patience that is required is not for everyone! Those first few months I would have 15-20 people per week visiting my website from my social media shares but that is only a trickle compared to the possibilities of what can happen with time! Because at around the 6 month mark I got a pleasant surprise in the traffic department! I had sworn off looking at analytics after about a month because everytime I did I would question why I was even building this affiliate marketing website! Those are the kinds of feelings that cause most people to quit1 After a while they don’t see results, then the very next time they get stuck they quit! Everyone gets stuck, sometimes and it’s usually a very easy work around, but when you have been watching stats and are already on the ledge, it’s easy to fall off! So when I lifted my 6 months analytics ban I had placed at the suggestion of Wealthy Affiliate, I was stunned! My website was seeing numbers like 500-600 visitors per week ! I knew from experience that I only had 15-20 people a week from social media so this was real traffic from the search engines ! Once the traffic started it snowballed pretty fast! Within the first couple of weeks after that I was averaging 1000 or more visitors per week and growing. That’s when I thought about all the people who have tried this and didn’t use patience, only to quit at the point things were about to start rolling ! My suggestion for anyone reading this is that if you start , don’t quit! You will not see results for 3-6 months, but if you keep working hard, it will come ! Why is Affiliate marketing the best way to make money for the average person? I was on cloud nine by month 6 and then I couldn’t create content fast enough! I would reseacrh , test and brain dump every weekend to get my ideas and plans for the following week ! With my content ideas and keywords in hand I would then write 2-3 fresh pieces of content a week ! And the traffic continued to grow! Then one day, the moment that cemented my future in affiliate marketing happened ! I got online one Saturday morning to work on some stuff on my website, and had an e mail from Amazon. When I opened the email it said that I had a sale on one of my affiliate links. I almost pounded the keys off my laptop opening the e mail! Once I had gotten to my dashboard in Amazon Associates I saw that someone had gone to Amazon from my site and I had $32 in Affiliate commissions ! I was over the moon and ran to wake my wife and told her! I had gotten my first affiliate commission and now I had the evidence and knew what the possibilities actually were! With 3.7 billion people online, the sky is the limit! I’m just an average guy who is a maintenance man in an industrial manufacturing plant! Or was, to be more accurate! And if I can do this with my experience and abilities anyone can! It was hard for me to grasp that 6 months earlier saving picture folders and posting on Facebook was the extent of my online experience and expertise ! Now I’m actually being paid for helping people ! Growing and passing along the good fortune! Over the next weeks and months I started getting more and more of those e mails from Amazon! It got to the point where I turned the notifications off and just made a practice of visiting my dashboard every few days to check! These e mails were stuffing my inbox and I had to do something different! The results have grown and compounded like something I had never really expected! Now I could both see how Bob was killing it online and feel sorry for all those people who quit! And that gave me an idea! I had several people ask me how I got started and what I was doing, and I had told each of them pretty much a carbon copy of what my buddy Bob had told me, and then pointed them to Wealthy Affiliate ! So now I had the idea ! I had grown up raised by a single mother who struggled to make ends meet and now thanks to a cookout at a friend’s house I was starting to realize the potential and live the dream! I owe a lot to Bob and Wealthy Affiliate so I decided it was time for a second website ! The one you are reading this on now ! No Web Experience.com is a website designed for exactly what it says. To help people with no experience succeed online! I do reviews on products and services to help others like yourself avoid the scams that once derailed my dreams, and I promote wealthy Affiliate to everyone who is interested in starting their online business and making money online! The key is the same! Relevant, honest, and helpful content. No filler and no fluff! The key to affiliate marketing that a lot of people never get is that you have to CARE ! If you don’t care about what you are doing you will not be successful! And success is measured in more ways than money, although money is good too! My hunting site is generating very good income and still growing. I’m presently debating an offer I had for that website for $88,000. But will likely not be selling it. Then there is this website! I love this website because it’s where I get the good feelings of helping the most! It’s really neat to have someone come here from the search engines or social media looking for a way to beat the 9 to 5 rat race, or a way to pull themselves free from the grips of poverty, and be able to steer them right and offer encouragement! There is no greater job! My sincere hopes for you! In a world where most people think they have to struggle through life, and short of winning the lottery wait till the last years of their lives to enjoy struggling to get by on retirement, there is a better way! As I outlined it’s simple but not easy! And It’s not a fit for everyone! You have to put in the time and work combined with patience, Well that is if you consider sitting on your deck wearing flip-flops with a laptop work ! That happens to be the exact way I’m working as I write this ! If you do make the decision to learn more, you can click the button below to be taken to my complete and honest review of Wealthy Affiliate. It happens that Wealthy Affiliate is the only product or service I completely endorse to my audience! I could make huge commissions by promoting several different services that are online, but I only promote Wealthy Affiliate because I got started with it and completely believe in it! I believe in it to the point I just enrolled my daughter a sa Premium member and pay her $49 per month fee as she works on her gaming website! If you start building your niche website, don’t quit! 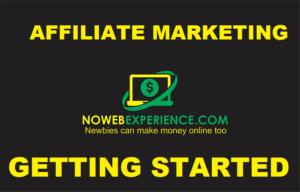 If you would like to learn more about affiliate marketing through niche websites click the button below for more information! I have described the highlights of my story with you, and told you the exact route I took to attain success with affiliate marketing websites! It is my hopes that you have gotten value from this article and if you are interested in beating the rat race and the same old, same old way of living and deferred retirement that you give affiliate marketing a chance! Be patient and build big ! You won’t be sorry! But above all, DON’T QUIT! If you got any value from this article, please leave a comment, your questions, or suggestions in the comments below! And one more thing! If you decide to take the training course at Wealthy Affiliate will you book mark this site and return to put your impressions in the comments? It is only with your feedback that I can better serve my audience ! Have a fantastic day, and best of success ! Previous Post:What is Affilorama About? The answer might surprise you! Next Post:Is The AZ Formula A Scam, or a $10K per week Gold Mine! Thanks for sharing your journey to finding Wealthy Affiliate, Mike. It has been a very great read and your friend Bob is a great example of what’s in store for us if we work it. You have the proper training, tools and support at your disposal. Now all it takes, is work! I wish you good luck with your training and much success! Thank you for your comment and kind words Reyhana! Wealthy Affiliate is the #1 platform online for making money and attaining wealth! I don’t have to sell people on it, it sells it’s self! I just wanted to share part of my journey! WOW! SO encouraging! I just started at WA and I am stumbling through the training, hoping to better my life someday…you have given me hope! Thank you! Thank You for your comment Virginia ! way to make money online with affiliate marketing! Hands down! How do you draw the line when you are trying to sell your products? How do you promote and help without being a pusher? You seem to have seen some success in this form of marketing – would you say that this wealthy affiliate group were the main reason behind your success? There is no question ! I started off as an affiliate marketer that depends on spamming affiliate links over the social media sites. The program I was checking out made great claims of success, but it doesn’t work! Wealthy Affiliate is the other style! They teach the practice of giving value to your ciustomers and making them want to hear from you!